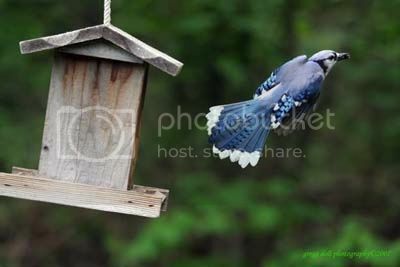 Here we are in the last week of spring 2007 and the weather in the mountains of PA couldn’t be nicer. We hope that everyone else feels the same way about the weather where they live. 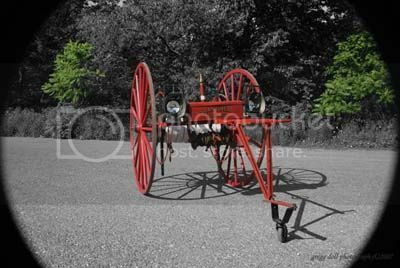 This week’s pictures come from our back yard, the Jimmy Stewart Airport in Indiana County and the First Annual Antique Fire Truck Show in Spangler. 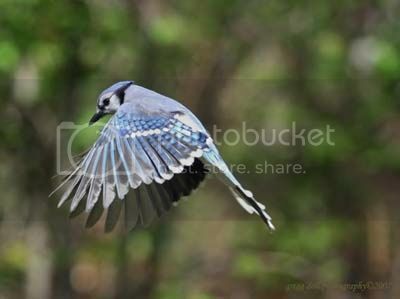 I just happened to catch this blue jay cruising by the window on it’s way to the feeders. For every action there is a reaction. This picture proves it. 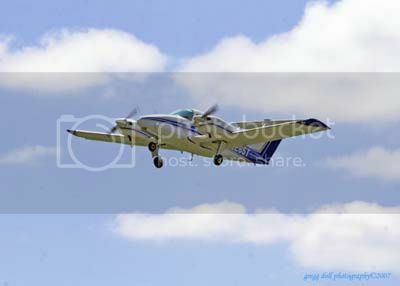 Just taking off and re-tracking it’s gear is this 1980 Beechcraft Beech 76. The airplane is powered by two Lycoming 360 SEB engines and seats four. The top speed is about 200 mph. 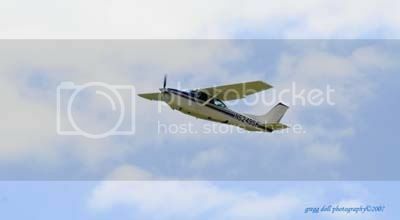 Also built in 1980 is this Cessna R182 four seater. The single Lycoming 250 hp O-540 engine can reach a speed of about 110 mph. 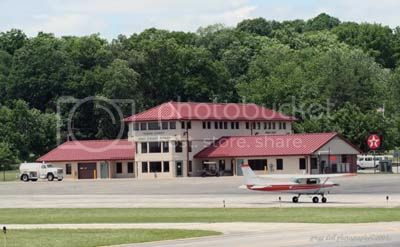 Sitting just east of Indiana, PA in Indiana County is the Jimmy Stewart Airport. The airport is named for the hometown boy that went west and found fame and fortune in Hollywood, CA. Its east-west runway is 4,000 feet long and has an elevation of 1407 above sea level. 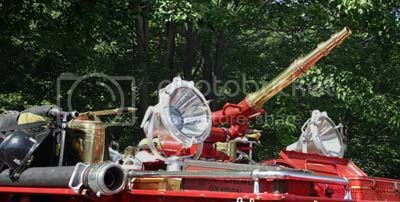 Last Saturday the town of Spangler had its First Antique Fire Truck Show and Chicken Barbeque. The company was hoping for a better display of old engines but not many showed up. However, this didn’t stop the day’s attractions and everyone who did come out to see the old fire fighting equipment had a good time anyway. 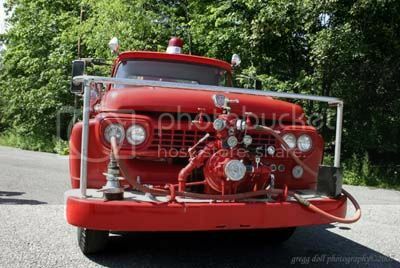 This first picture shows a 1954 American La France 750 gallon per minute pumper. It bears the designation Spangler 58-1. This engine is still called into action from time to time but is used primarily for pumping contests and parades. 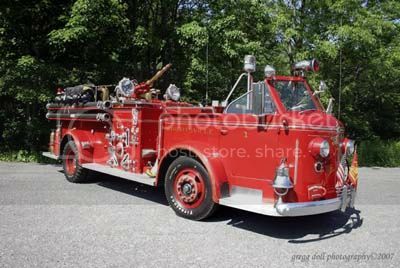 Just recently replaced by the Spangler Fire Company, is this 1979 American La France. It is capable of pumping 1500 gallons of water per minute. 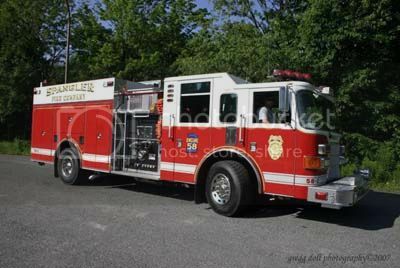 Replacing the ’79 pumper in the previous picture is this brand spanking new $400,000 2007 Pierce pumper. 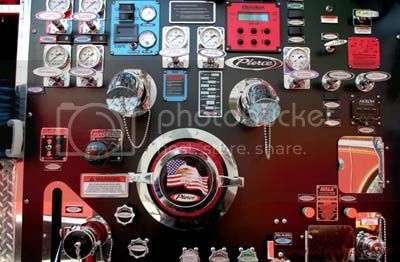 Part of the control panel on the Pierce pumper. 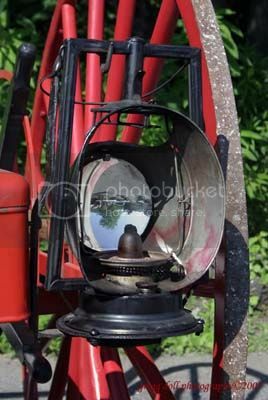 Close up of the oil lamps on the old hose cart. 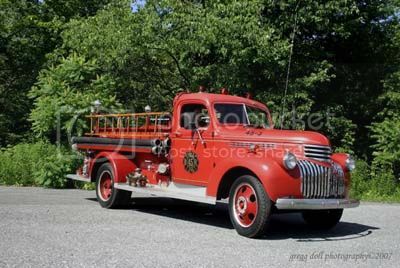 Vintondale’s old 45-3 is a 1941 Chevy Champion Fire Engine built by the W. S. Darley Company of Chicago, IL. Now in the hands of a private owner, is this well turned out 1947 American La France 750/150 Formite Truck. 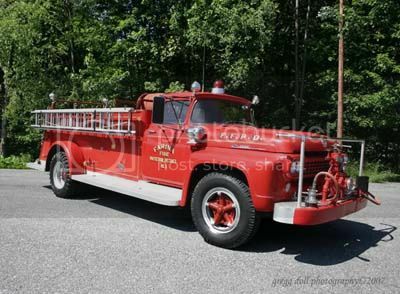 The truck originally went into service with Station 41 in Wrightsville, York County, Pennsylvania. Brass nozzle and spotlights on the Wrightsville engine. 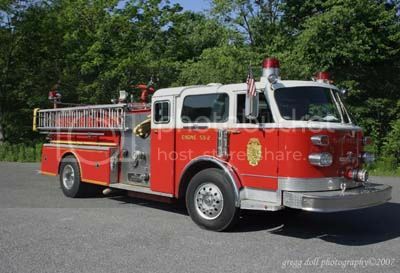 Built by the Tower Apparatus Company, this 1958 Ford pumper was purchased by the Farina, Illinois Fire Department on August 22, 1957 and is now privately owned by one of our neighbors. Carrying over 200 feet of one inch hose, this truck, with its front bumper mounted UA 50 pump could lay 500 gallons per minute of water on a fire. Close up of the UA 50 pump. 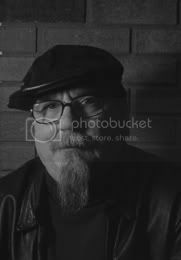 Hello - I love your photos. 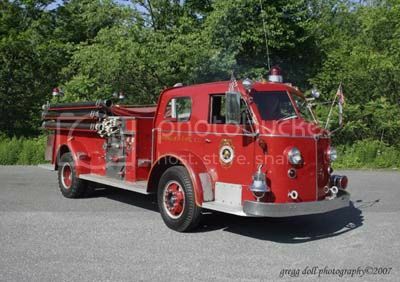 I remember that 1954 American LaFrance fire truck quite well as a kid - at parades and on it's way to fires - when I grew up in Spangler. I'll keep checking back from Kentucky. Nice to see photos of the home town.